Son of a...! 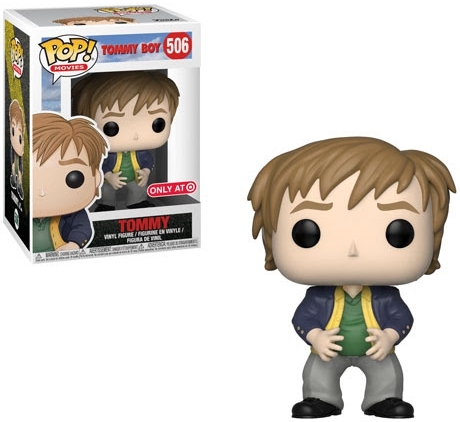 Funko Pop Tommy Boy takes collectors back to the peak period of Chris Farley's comedic genius. Although the slapstick comedy was not initially met with rave reviews, the cult classic Tommy Boy has garnered a loyal fanbase since the film debuted in 1995. The Pop! Movies release features Tommy, portrayed by Chris Farley, in a green dress shirt with a brown tie and sports coat. Of course, the well-intentioned son holds a box of Callahan brake pads as he attempts to save his father's—Big Tom (Brian Dennehy)—business. 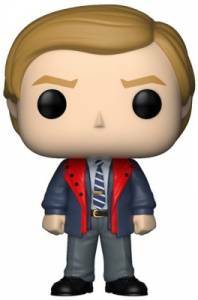 Funko Pop Tommy Boy also offers the "little guy." Played by Farley's fellow Saturday Night Live alum David Spade, Richard is Big Tom's assistant and Tommy's partner-in-crime for much of the movie. He stands with his fists clinched, wearing a blue and red coat over his classic salesman's attire featuring a striped tie . 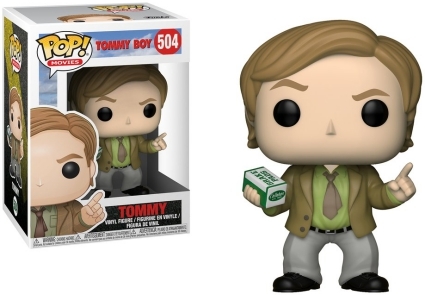 Order Pop Tommy Boy Figures on Entertainment Earth. 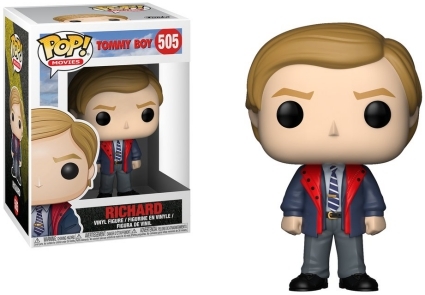 In addition, Funko Pop Tommy Boy further immortalizes one of the most memorable, quoted, and re-enacted scenes from Tommy Boy. As the traveling duo are arguing, Tommy puts on Richard's coat, singing "fat guy in a little coat, fat guy in a little coat." This scene ends with Tommy dancing around and taunting his uptight partner before the back of the jacket rips in half, right down the middle. The exclusive figure showcases the slightly hunched over big guy with messy hair and the infamous ripped coat. Collectors can find the special vinyl at Target locations. 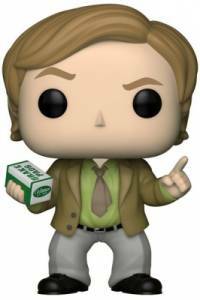 FUNKO POP "TOMMY BOY" CLASSIC COMEDY POP. BARND NEW BOX LOOKS GREAT!